The student-led Engineering, Maths, and Physics Society has returned this term and is open to all students in Year 12 and 13, we meet fortnightly on Tuesdays in Room 47. The Engineering, Maths, and Physics Society (EMPsoc) is a great way to explore a subject into greater depth. Although one of the primary aims of the society is to help prepare students for university courses in Maths, Physics and Engineering, this is overshadowed by our aim to spread knowledge and help students understand the enigmatic world in which we live. We look at topics that interests members of society, which are both part of the A-Level specification and are not. It’s a great way to learn about a subject you’re interested in in a non-textbook way, involving group discussions, debates, presentations, guest lecturers and much more. In previous years we have hosted many notable physicists and mathematicians and we hope that we can continue it into this year. Maths and physics society is open to everyone, even if they don’t study the subject. As long as they are interested and wish to further their knowledge, anyone is welcome. The Maths and Physics Society (MAPsoc) is a great way to explore a subject into greater depth. Although one of the primary aims of the society is to help prepare students for university courses in Maths, Physics and Engineering, this is overshadowed by our aim to spread knowledge and help students understand the enigmatic world in which we live. We look at topics, both part of and not part of the A-Level syllabuses, which interest members of the society. It’s a great way to learn about a subject you’re interested in in a non-textbook way, involving group discussions, debates, presentations, guest lecturers and much more. In previous years, we have had visits from many notable mathematicians and physicists, such as Professor Arttu Rajantie, as well as a visit to the Cambridge Physics Centre to see a lecture by Dr Julia Riley and to look round the facilities. This society is not just for those who are exceptional and Maths and Physics. Anyone can join, even if they don't study either subject, providing they are interested and wish to further their knowledge. 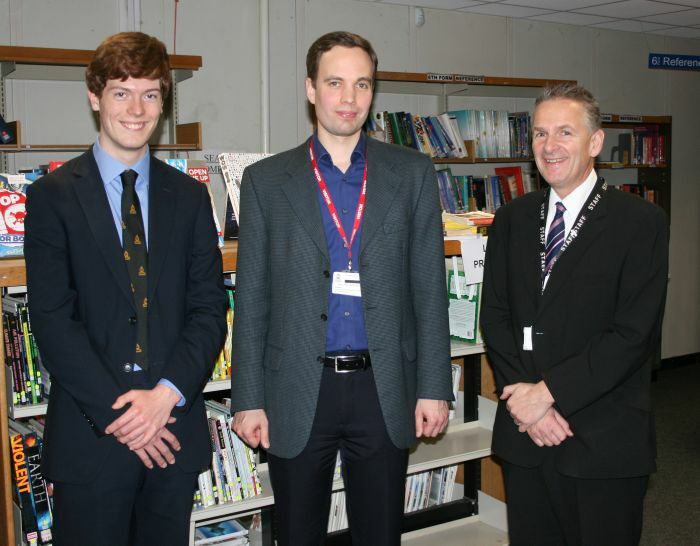 This week, the Maths and Physics Society were delighted to welcome Dr Steven Dargaville. He is a post-doctoral student at Imperial College, London, in the department of Earth Science and Engineering. Dr Dargaville came to speak to Year 12s and Year 13s who are interested in Maths, Physics and Engineering. As a post-doctoral student, recent study has allowed him to explore a vast array of areas, from modelling the discharge of LiFePO4 batteries, to modelling the maturing process of cheese. His lecture both focussed on explaining his own research and his areas of study, as well as explaining various types of mathematicians (pure and applied) and the various routes of study. There was a bit of time left afterwards for questions to be asked by the audience. We would like to thank Dr Dargaville for coming to visit us and presenting a truly engaging, entertaining and insightful lecture. The Maths and Physics Society is a society that helps students gain insight into the world in which we live, through presentations, discussions and trips. Although one of the primary aims of the society is to help prepare students for university courses in Maths, Physics and Engineering, this is overshadowed by our aim to spread knowledge and help students understand the enigmatic world in which we live. Through presentations on topics that interest students and extend far beyond the boundaries of A-level as well as lectures that explain the mystifying parts of these subjects, we help guide students through the confusing world of Maths and Physics in an interactive and enjoyable way. Whether an enthusiastic Maths expert or someone with just a slight interest in Physics, MAPsoc is a great way to explore those subjects in a non-textbook way and have fun at the same time. The TBSHS Maths & Physics Society was created by Charlie Jonas and Robin Franklin to share knowledge, gain insight and prepare for university courses in the fields of Maths, Engineering and Physics. Despite no longer having Charlie and Robin as the leaders, we will continue to strive for this purpose and dedicate ourselves to meeting the expectations that they had when they set up this society. I'd like to thank Charlie and Robin for their great work in creating a society for people of interests in Maths and Physics and for also bringing it up to this point where it is a club with a regular attending of over 20 like minded students. I hope that myself and Matthew Port, the new leaders of the Maths and Physics society , will maintain the high standards and keep the society running as smoothly as it always has been and to provide both an educational and an entertaining environment for all members . Once again I'd like to thank Charlie and Robin for their hard work and wish them all the best in the future and we hope that we'll provide as enjoyable an experience for the new Year 12s as they did for us. The Maths & Physics Society was created by myself and Robin Franklin with a simple aim – sharing knowledge, gaining insight and preparing for university courses in the fields of Maths, Engineering and Physics. We have a regular attendance of members who come each week but would be delighted to welcome any more enthusiastic students in the coming months. The Society meets weekly at lunchtime in a physics classroom which is the perfect space for discussions, presentations, listening to speakers and carrying out practical investigations. Each week, a member(s) of the society takes a turn in making a presentation to everyone about something that they find interesting and would like to share. It is our hope that by doing this our knowledge will be extended beyond the classroom level and we can cover material that is not always on the exam syllabuses. Our recent sessions have included a presentation on the standard model, Feynman diagrams, radioactive decay and a practical investigation into alpha decay using cloud chambers. As a society, we share our thoughts and ideas about the past week’s news in the world of science and what this could mean for future technologies and developments. We also plan and coordinate trips to events, talks and lectures such as the Battle of Ideas at the Barbican in London, the Festival of Ideas & Science Festival in Cambridge and the lectures offered by the Cavendish Laboratory at the Cambridge Physics Centre. For the first meeting after half term, I did a presentation on the standard model, a theoretical framework which describes three of the four fundamental forces( electromagnetic, strong and weak) and describes all sub-atomic particles and their interactions. After describing the particles that the standard model describes and explaining the difference between related particles (fermions and bosons, quarks and leptons), I went into detail about the properties that particles have, such as spin, charge,mass and the generation a particle belongs to. Finally, I talked about how the standard model describes the three fundamental forces and also a little about how and why the standard model does not include gravity. The presentation on the standard model can be viewed as a PDF at the bottom of the page. This week we had a presentation from Jacob which focused on power and energy used to do various exercises at the gym. Using classical mechanics, Jacob successfully worked out the energy and power for an average person to do certain exercises (based on their 1RM) and then calculated how many light bulbs could be powered and for how long they could be lit, with the same amount of power required to do those exercises. Thanks to Jacob for this presentation which reminded us that physics can be very entertaining and enjoyable. My presentation at first explained the concept of the imaginary number i, which is the square root of minus one. Despite the number being imaginary, it has many uses in many areas, including quantum mechanics, complex analysis and electrical engineering. After explaining what i was, I took the square root of i and showed it to be a complex number, a number composed of a real part (an ordinary number) and an imaginary number (a multiple of i). Afterwards I explained the maths behind Euler's formula, a famous equation which involves 5 of the most important constants in maths, in two different ways;one way using the Taylor series and the second way by working backwards from the assumption that answer to e^ix is a complex function. This week’s presentation was given by myself and Robin Franklin in partnership, with each of us focusing on one of the problems that we set a couple of weeks before. Robin led the first section of the meeting which involved finding a logarithm in terms of another logarithm but in a different base. I took over for the second half where I explained how to find the logarithm of a negative number as well as the proof of the result. The notes on the proofs can be downloaded as PDF files at the bottom of this page. Chris’ presentation this week was on the topic of quantum mechanics and focused on the uncertainty principle and the photoelectric effect, both very important aspects of quantum theory. As Chris explained, the uncertainty principle puts a limit on the precision with which we can know the momentum and position of a particle simultaneously whereas the photoelectric effect explains why electrons are emitted from the surface of a metal when light of the right frequency is shone on it. Callum gave an excellent presentation, despite the challenging nature of the subject matter; you can download his presentation as a PDF file at the end on the page. This week the TBSHS Maths and Physics Society were delighted to welcome Professor Arttu Rajantie from Imperial College. 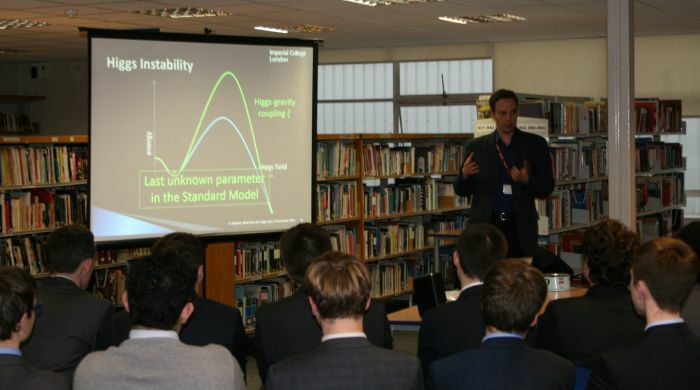 His lecture took place during enrichment on Wednesday 26th November and was attended by a large group of year 12 and 13s, as well as several gifted and talented students from lower down the school. The Professor is an admissions tutor and also a member of Imperial’s Theoretical Physics research group, specialising in applications of quantum field theory in cosmology and particle physics. More relevantly to year 13 students, he has also worked at the Large Hadron Collider and is heavily involved in the MoEDAL experiment. This provided an excellent insight for the year 13s who will be visiting CERN in Geneva next February half term. In addition to his work at Imperial College, Professor Rajantie is also a visiting professor at King’s College London and an external examiner for the University of Sussex. During the 5 years he spend in Cambridge he worked with Professor Ron Horgan, one of the society’s guests last year and husband to the school’s own languages teacher, Dr. Frances Horgan. Professor Rajantie’s talk focused on the role of the Higgs field in particle physics and how the mechanism the gives elementary particles their mass actually works. With an analogy that involved rolling a cake tin with a magnet attached along a table, he convincingly demonstrated the symmetrical properties of the Higgs field and how oscillations give rise to mass. In his talk, Professor Rajantie also discussed the standard model of particle physics and the relative strengths of the fundamental forces of nature, explaining why massless force carriers give rise to forces acting over an infinite distance. There was just enough time afterwards for several questions from the audience and for the presentation of a ‘thank you gift’ as a token of our appreciation. We would like to express our gratitude that Professor Rajantie took time out of his busy schedule to come and visit us and give a very interesting lecture. The weekly presentation today was given by myself and covered the topic of differential geometry, specifically using integration to find the length of an arc. I started with an brief overview of integration and differentiation and the use of infinitesimals in calculus which is highly relevant since the derivation of the arc length formula involves taking infinite tangents. Using a graph of the function y^2=x^3, I showed how the formula is derived simply from rearranging Pythagoras’ theorem. We then used this to complete an example question from the OCR MEI FP3 maths syllabus, an additional part of our A-level maths course that we do not normally study in school. I ended the presentation by touching on the similarly related field of line integration which is especially relevant for calculation involving scalar fields in physics. I hope my presentation was enjoyable and accessible by all! This week we took a trip to the Department of Physics at the University of Cambridge where Dr Julia Riley gave a lecture entitled ‘Relativity - understanding the connection between space and time’. Meeting at Stortford station, we took a very crowded train to Cambridge where we then caught a taxi to the Bragg Building at the famous Cavendish laboratory – the site of discovery of the electron & neutron and where James Clark Maxwell formulated his laws of electromagnetism. The hour-long lecture introduced us to the idea of inertial frames and Newtonian relativity before moving on to Einstein postulates and his more complicated theory of special relativity. Dr Riley showed how to derive the equation for the Lorentz factor and, through her excellent diagrams, explained the phenomena of length contraction and time dilation. The last few minutes of the lecture were occupied by a brief overview of general relativity and Einstein equivalency principle, as well as a short discussion of black holes. The lectured was followed afterwards by a trip to Pizza Hut which I’m sure was enjoyed by everyone who attended! We would welcome any other students who wish to come to future lectures or to join the society on a Friday lunchtime. This week’s presentation was on the topic of infinity and the different types of it that occur throughout mathematics. After a brief historical introduction, Sam showed us the famous tortoise and hare problem. That was followed by a discussion of improper integrals and fractals which provided an opportunity to introduce some of the Year 12s to calculus and the exponential function. The talk finished with a brief discussion of aleph-null and cardinality of different sets, followed by planning for our lecture trips in the coming weeks. 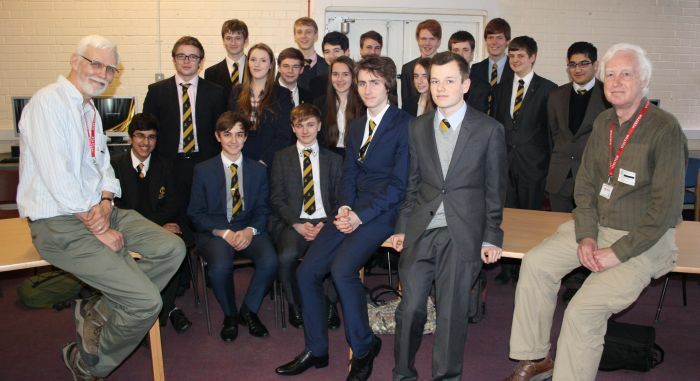 Chris’ presentation was on the cryptography and mathematics involved in the enigma machine and the German codes. After an introduction which took us through the historic context of the enigma, Chris used diagrams to show how the cipher wheels of the machine worked and why the code was so difficult to break. He talked about the reverse wiring needed to make the enigma both an encoder and decoder as opposed to having two separate machines, a design factor that when combined with operator error led to the code being broken by the Polish. Thank you Chris for a very interesting talk. This week’s presentation was given by Robin Franklin and was on the topic of mathematical proof. After first looking at some basic proof by direct argument he quickly moved on to proof by contradiction, using the irrationality of square root of 2 and the base-3 logarithm of 2 as examples. The talk ended by showing the proof of Euler’s Identity using the Taylor expansions of sine, cosine and the natural exponent. Our thanks to Robin for his presentation. After a brief one-week hiatus due to the Teacher Karaoke event on 3rd October, members of the Maths and Physics Society regrouped to watch Brian Cox’s excellent ‘A Night With The Stars’ programme which aired a few years back. With the help of several notable guests including Sarah Millican, Simon Pegg, Jim Al-Khalili and Jonathan Ross, Cox explained wave-particle duality and electron diffraction with a simple trough of sand and used a long piece of rope to explain how standing waves form. In a section at the end of the video he went on to discuss the uncertainty principle in quantum mechanics. The video was very interesting and thoroughly enjoyed by all. Our first student presentation of the academic year was by Year 13 student Penny Hart. Despite the very large audience of almost 30 new Year 12s she gave a very convincing presentation on Fermat's Last Theorem and modular clock arithmetic. Afterwards we discussed our plans for the upcoming Festival of Ideas in Cambridge and Battle of Ideas in London, both of which we hope to attend in the future. Last week we had the pleasure of welcoming back ex-student Oliver Philcox when he dropped in to deliver a short talk to the Maths and Physics Society. Oli, who in October will be leaving to study physical Natural Sciences at Emanuel College Cambridge, gave an excellent lecture to us about his EPQ project on Dark Matter and Supersymetry. 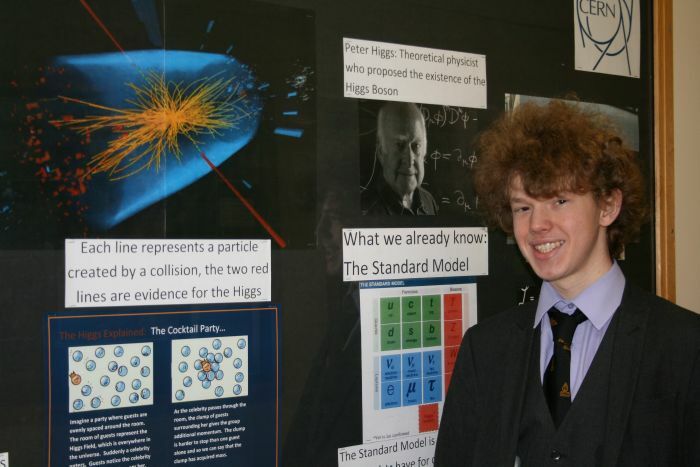 Topics covered included the Standard Model of particle physics as well as the Higgs mechanism. The second part of his talk was a first-hand student’s account about applying to one of the world’s top universities and detailed several useful resources and tips which many of the year 13s found extremely useful. After a short Q&A session we concluded our first lunchtime session and bid Oliver a final goodbye! We wish him all the best. Pouring rain and thunderous stormy skies is weather you would not typically associate with the end of June and certainly not weather that I wanted to be walking through when I arrived for the recent Senior Physics Challenge in Cambridge! A week-long residential summer school for 65 students from around the UK held annually at the Cavendish Laboratory at the University of Cambridge, the Senior Physics Challenge aims to introduce students to studying physics at university by giving them a realistic experience of what life as an undergraduate student at Cambridge is like. Along with 5 other like-minded prospective physicists, I was lucky enough to be staying in the beautiful Corpus Christi College near the centre of Cambridge which we later discovered meant a half-hour walk each way to get to the Cavendish where all our lectures were! Other groups of students were distributed amongst several other Cambridge Colleges. Each morning began with a lecture on Classical Mechanics. The basic concepts were not much more complicated than what we had done previously in school maths lessons; however, the application of the theory was a little different and the problems required careful consideration to reach the correct answer. Our next daily session was a lecture on Quantum Mechanics – a topic normally seen in the second year of the Cambridge Natural Science course. For me, this was the most interesting part of the week, especially considering that we were plunged straight into the deep end! We looked at infinite and finite square wells, the Schrödinger Equation, the Uncertainty Principle and calculated the Bohr Radius. The week wasn’t entirely theoretical however and involved three lab sessions in the undergraduate laboratories with practical experiments involving pendulums, lasers and light bulbs. The experiments focused on the theory we had learnt in our AS physics course and involved using diffraction from double slits to calculate wavelengths of light and working out the acceleration due to gravity using circular pendulums. People might be forgiven for thinking that studying at Cambridge is all work and no play; however, there were many opportunities to socialise in our schedule. A lecture on ‘popular physics’ turned out to be about the mechanics of juggling and was enjoyed by all, whereas a trip punting on the Cam offered everyone the chance to see the beautiful and historic city from a unique angle. We also had the opportunity to attend an Admissions Q & A session which turned out to be both useful and informative. The course gave me the unique chance to experience what studying physics is like and a brilliant insight into how undergraduate study is taught at Cambridge. I was extremely fortunate to have been selected for such a wonderful week of study, friendships and residency at Corpus and appreciated every moment. I would like to thank the Physics Department and Mr Brunker for allowing me to pursue this gem of an opportunity. In January, the Society went on the first of what we hope will be many trips, to the Cavendish Laboratory in Cambridge attending one of the Outreach lectures for members of the public. The lecture, entitled ‘The Ever Expanding Universe and Dark Energy’, was delivered by Professor Carolin Crawford and gave a brief introduction to cosmology and Einstein’s equations of gravity and relativity. We were introduced to the cosmological constant and density parameter to describe the end fate of the universe and its expansion. Last week we returned once again to the Cavendish for yet another interesting lecture, this time entitled ‘The Physics of Spin’. After taking our seats in the Pippard Lecture Theatre, we listened to the brilliant Professor Mark Warner explaining in detail about angular velocity, mass and momentum. Several fascinating demonstrations involving home-made gyroscope made from bicycle wheels were carried out to demonstrate the conservation of angular momentum, often resulting in audience members precessing on a chair to illustrate the forces exerted by a spinning object. 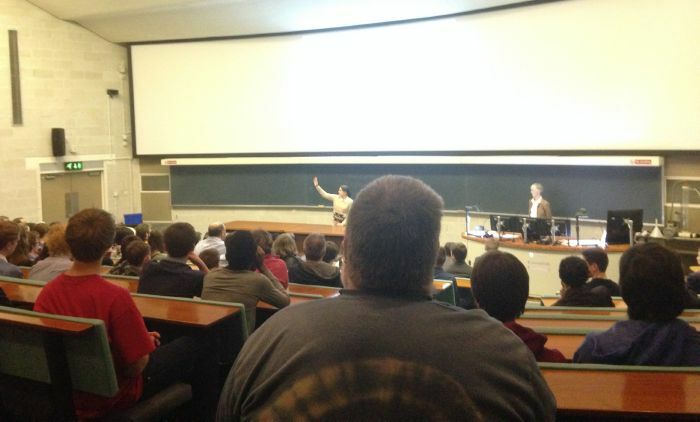 The lecture concluded with a look at quantum spin and an explanation of ½ spin particles and integer-spin bosons. After a Q & A with Professor Warner, we caught taxis back to the Leisure Park where a well-deserved meal was had by all at Pizza Hut where our discussions naturally turned to the physics of pizza topping and dough. We feel extremely fortunate to have such an amazing facility relatively close to us and look forward to more trips in the near future. If you are interested in joining the Society, please come along on Friday lunchtimes. For more information speak to Charlie Jonas or Robin Franklin.